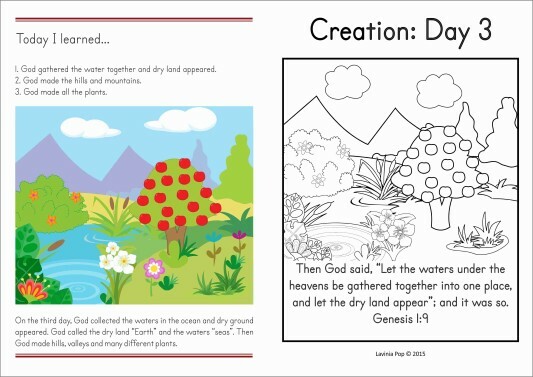 We started Day 3 of Creation by talking about what God had made on Day 1 and Day 2. I brought out the sensory bottles as we talked about each day, and then I introduced our Day 3 sensory bottle. 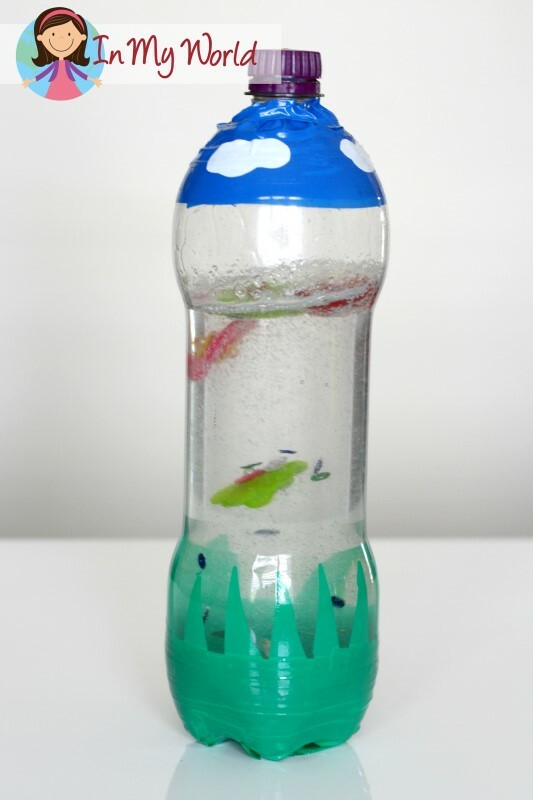 To make this bottle, I followed the directions from “My Little 3 and Me” blog post. I decided not to add real flowers as I am hoping this bottle will last for a couple of years (fingers crossed, folks!!) and put in some felt ones and small circle sequins. If it gets icky come next year, I will just make a new bottle with real flowers; the bottle with real flowers does look much prettier! My little dears were mesmerized. They each wanted to have a turn shaking the bottle and enjoyed watching the contents settle. We talked about how God rolled back the seas and dry ground appeared. I told them how thankful I am that God made dry ground because, well, folks, I’m not much of a swimmer. And if I had to swim instead of walk… well, that would make things a little difficult for me! And now, because God had made dry land appear I don’t have to swim everywhere, but can walk! We talked about how God also made the hills, mountains, valleys and flat land. And, to pretty things up, God decorated them with beautiful flowers and trees and other types of wonderful plants. We then moved on to talk about the different plants that God had created. I explained that, even though there are so many different types of plants, they all need the same things to grow. And, because God is so wonderfully wise, He knew the things that plants would need to grow and He made sure He had made them in the first and second days of creation! 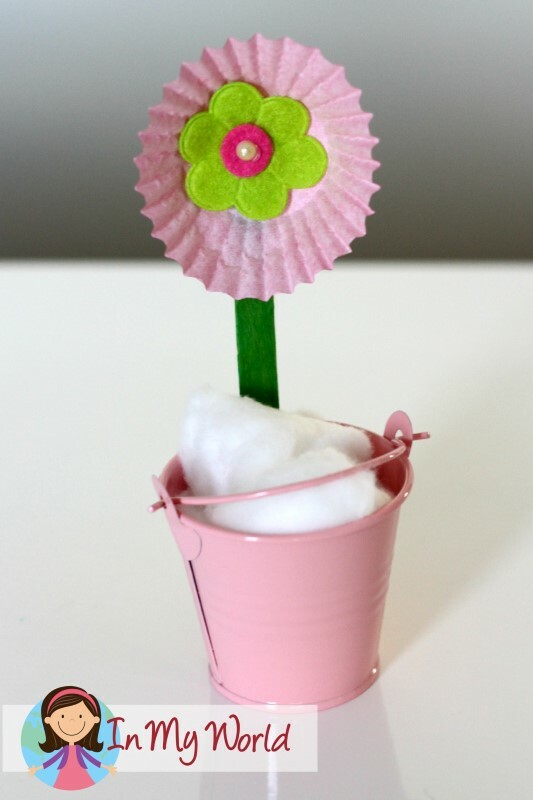 Once we finished the activity, the kiddos each had a chance to make the flower pictured below. I was fortunate to find the cute buckets on sale at a discount store, but yoghurt tubs would work just as well. 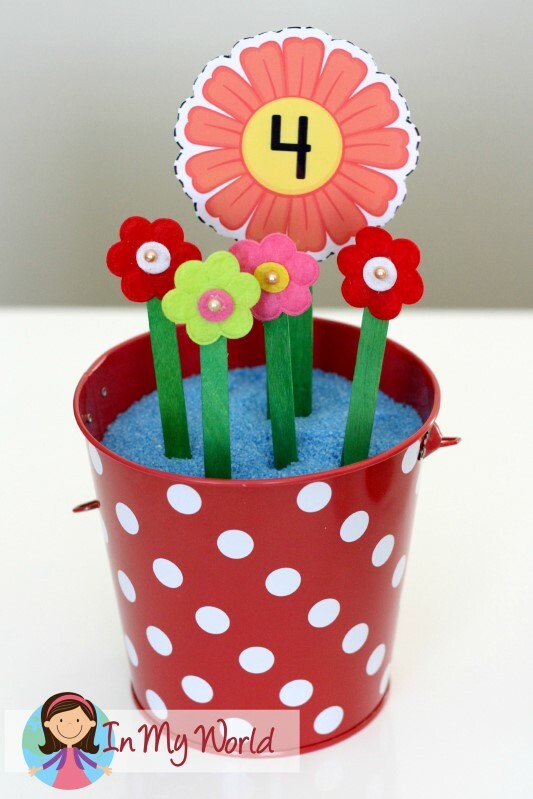 Then each child placed their flower and bucket inside a snap-lock bag to ensure bits and pieces didn’t fall out in church. Because this was such a short craft, we had time to play a game. And then I gave each child a take home booklet. And that’s it for Day 3 of Creation! 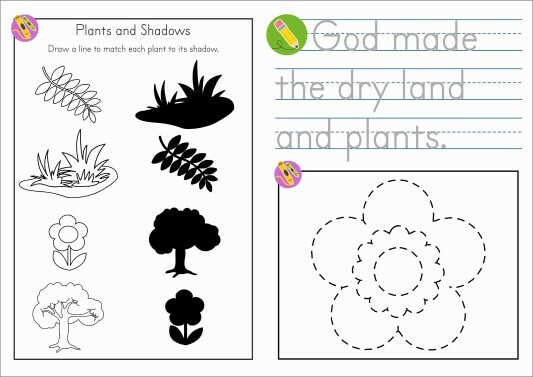 To download the FREE ENGLISH Sunday School printables from this post, please click here! 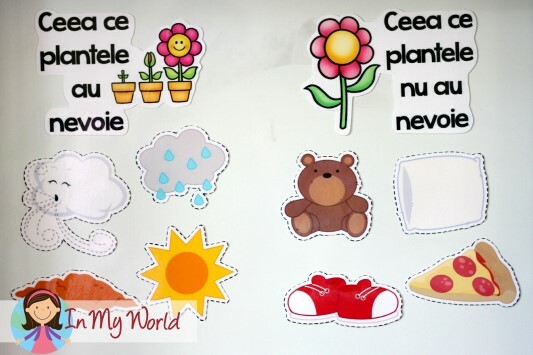 To download the FREE ROMANIAN Sunday School printables from this post, please click here! Thank you so much for these pages and Sunday School lessons. They are really great and I love sending the pages home with the kids so the parents can follow up on their lesson. These are wonderful resources! Thank you for sharing! Great site thank you for all your ideas.